We provide a robust HR application that enables you to streamline and automate many HR tasks efficiently and effectively. 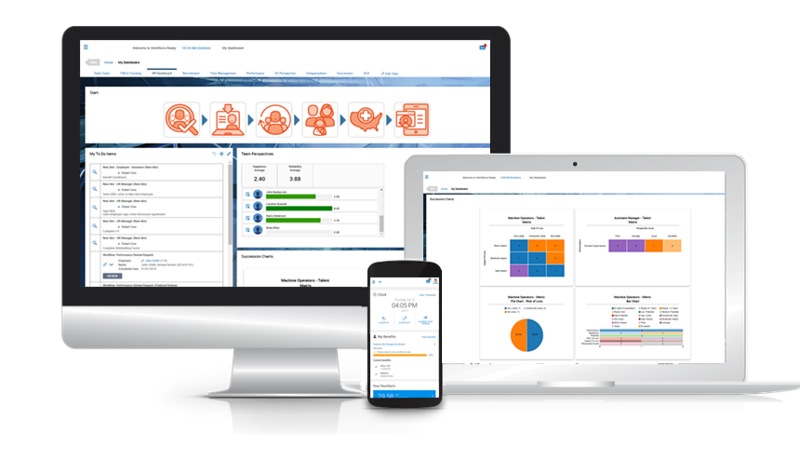 Experience a powerful, multifaceted web-based solution that takes many of the manual, time-consuming processes associated with human resources and helps manage them for you, giving you and your team more time to focus on your core business. 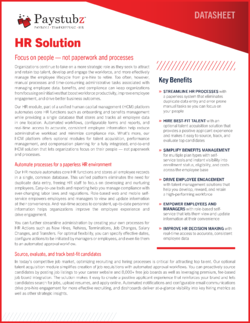 While most small and midsize companies have processes, policies, and strategies in place for HR management, these activities tend to be time-consuming and inefficient and don't scale well as your business grows. Self-service functionality takes it one step further by empowering your employees to handle many of their own HR-related tasks. Allows your managers to perform online applicant searches and track job applicant candidates through the hiring process. Candidates have the ability to directly apply for a specific position online. Customize your own onboarding checklists to allow your people to submit W4 and I9 forms from their own secure login. Plus, you can conduct open enrollment to greatly assist in managing automated payroll deductions (requires Payroll application activation for full integration to payroll). Provides an automated method for managers to review employees and for employees to review their own performance through a multi-tier review process. Performance reviews are measured through your own customized competencies, goals, and core values, providing you with a fast, comprehensive way to track employee performance. Track workplace incidents with customizable data elements and workflow. Whether the incident is work behavior or workers comp related, reporting from the data collected is quick and simple. Plus, that data can be integrated into OSHA reporting forms as well! Employee Compliance: Empowering employees to submit requests to update their address, submit a new W4, manage dependents. Create custom forms to further remove paper floating around the office between employees, managers and administration. Further empower your managers to submit base rate changes electronically for multi-level approval. "My favorite feature of Paystubz is the support I receive. I call them up and a live person from South Dakota answers the phone. I get right to the person who does what needs to get done."